Member News | Libraries, LTD.
Top Row: Left to Right – Drew Adams, Kids Need to Read; Bob Wortman, accepting for Tucson Career and Technical Education teacher Dan Walker; Toby Smitt, Libraries, Ltd.; Gudrun Godare, organizer of local literacy programs and Tucson Festival of Books; JoAnn Cleland, retired teacher and ASU professor and active member of the Phoenix West Reading Council; Marilyn Ludwig, accepting for Tucson high school student Liana Reynolds, a volunteer and teen moderator at the Tucson Festival of Books. 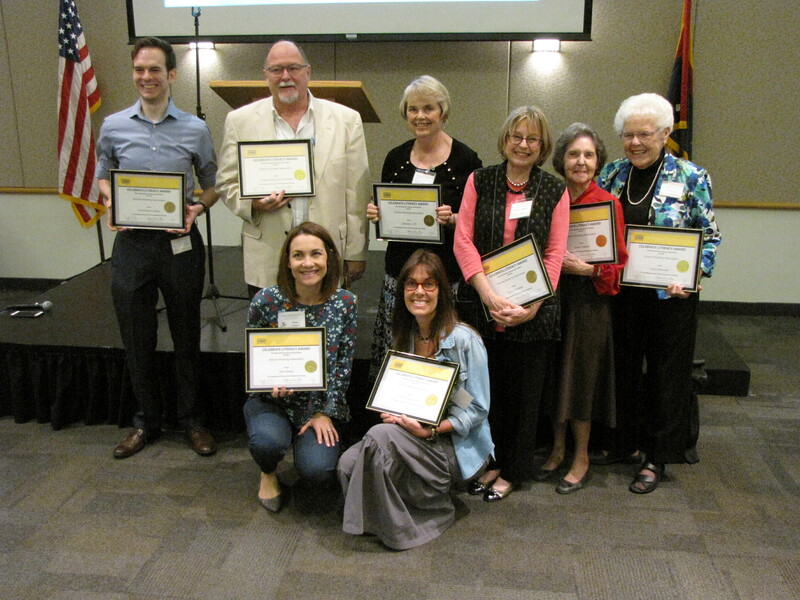 Bottom Row: Left to Right – Alana Richardson, Tucson Symphony Orchestra Educational Activities; Brooke Bessesen, Judy Goddard award winning author and founder of Authors for Earth Day Coalition. 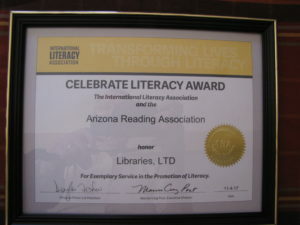 Libraries, Ltd. has recently invested a portion of our assets in two foundations. 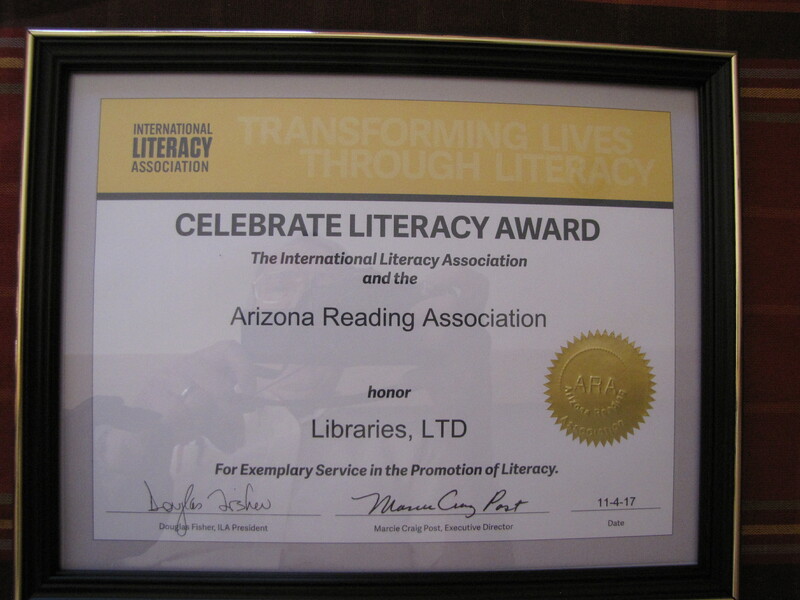 We have opened a Reserve Fund in the Tucson-based Community Foundation of Southern Arizona to support our ongoing literacy projects. In addition, we have established an Endowment Fund in the Arizona Community Foundation, headquartered in Phoenix. The Endowment Fund is a permanent fund in memory and honor of our founder, Judy Goddard.